When: All year around. They’re open all day and you can go for breakfast, lunch or dinner. However for me it was more a dinner atmosphere, since the Restaurant also has a cocktail bar upstairs that overlooks the food area downstairs. Drink: They really do great Cocktails so I would suggest to definitely have one. They have the standard ones but also some you’ve never heard before. 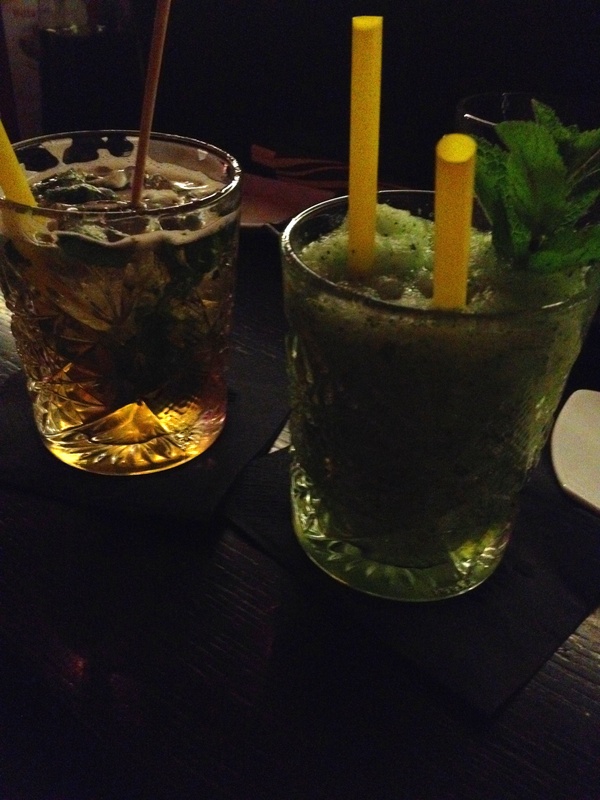 My favourite was the frozen Mojito, it was refreshing and delicious! Eat: They do one of the best sushi I had in Europe. 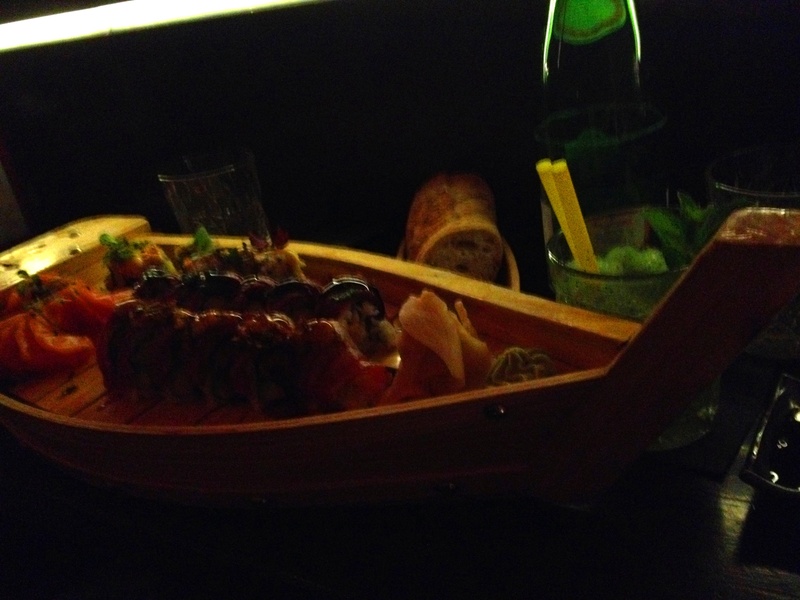 I also really enjoyed that they serve it on small wooden boats. If you sit at the Sushi Bar in the middle you can watch how your food is made for you. If you don’t like Sushi they have also a variety of Asian dishes. Price: I’m not going to lie it is quite expensive. But it is truly a special experience so if you want to treat yourself to something really good or have something to celebrate this Restaurant it definitely something I would recommend! Do: After dinner go upstairs and have a drink at the bar. It has a type of nightclub vibe and is a good place to start for your evening at the party area of Hamburg. The Restaurant is right next to “Hamburger Berg” the main party street of the city. My tip: Reserve or go there late. We went there at 10: 30 on a saturday evening and they were still full. 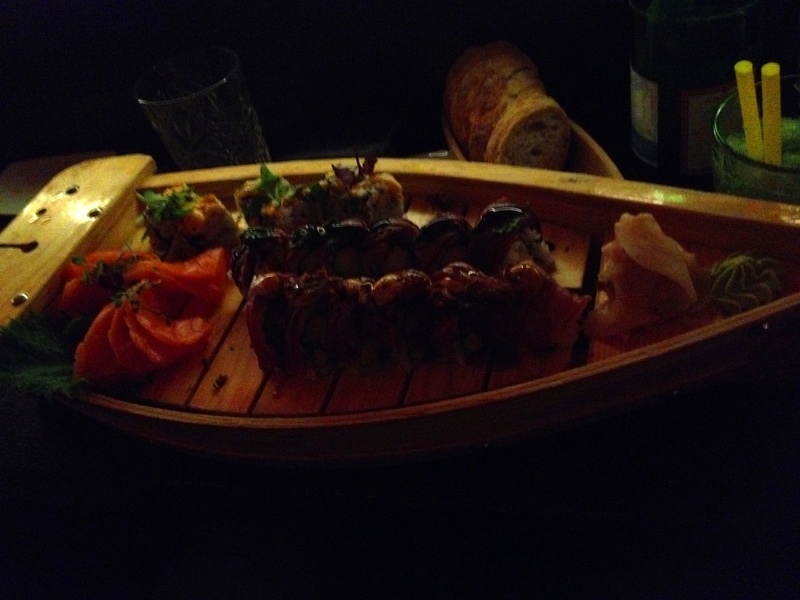 But the staff was amazing and even tough we were clearly underdressed (we weren’t expecting it to be that smart) they made an effort and found us two seats at the Sushi Bar (which was really nice actually). However if you want a table or are a big group and don’t want to eat at 11 at night just reserve online so you make sure you’ll get a space. This entry was posted in Germany, Places behind Food and tagged Eat, Food, Germany, Hamburg, Restaurants, Sushi, Tourism, Travel. Bookmark the permalink.